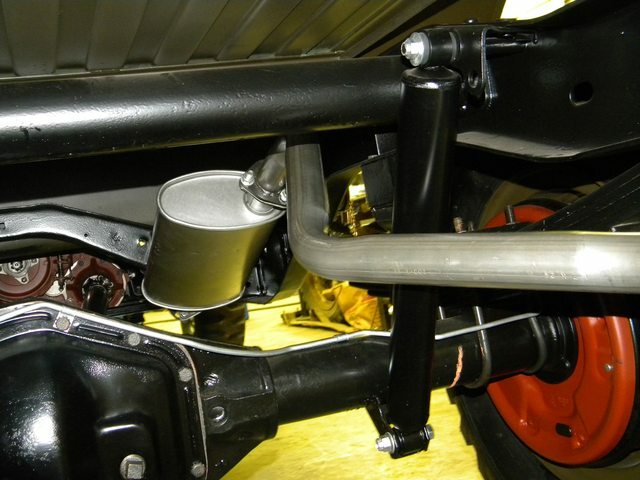 Does anyone have a picture or a good drawing of the brackets that bolt to the muffler? The maintenance manual has the best drawing I've seen, but it leaves a lot to the imagination. I can take a few exhaust photos later today. I don't know if I have an extra bracket that I can make a tracing of, but I will check. Thanks jeepdan! 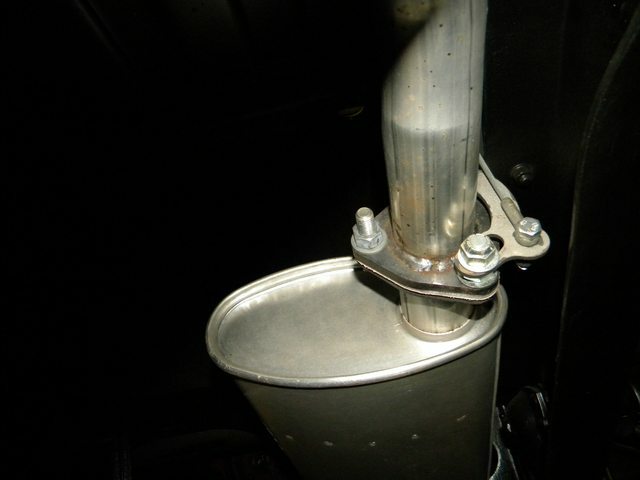 I'm especially needing the relation of the pin hole to the muffler bolt, and the thickness of the bracket. I couldn't make it to the garage today , but here are few photos that I had on a SD card to ponder over until tomorrow. I will get that thickness also. Front view: I fastened the cable with bolts at the muffler. I still have to make the correct pins. Can't find them for sale. I will have to copy one of the originals that was still on the frame mount. 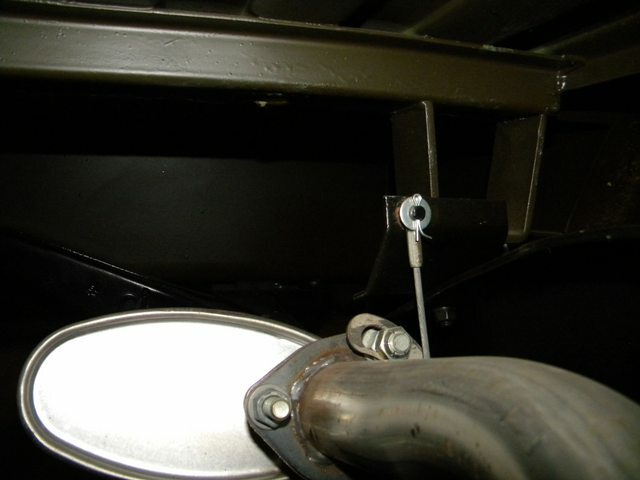 Can't see "C" bracket in this rear view of muffler rear flange it's on the outer side of pipe toward the frame. But same setup. Crap! I need to dust the inside of the frame rails. I think I saw the pins at the local hardware store. 1/4" x 1/2" (maybe?). 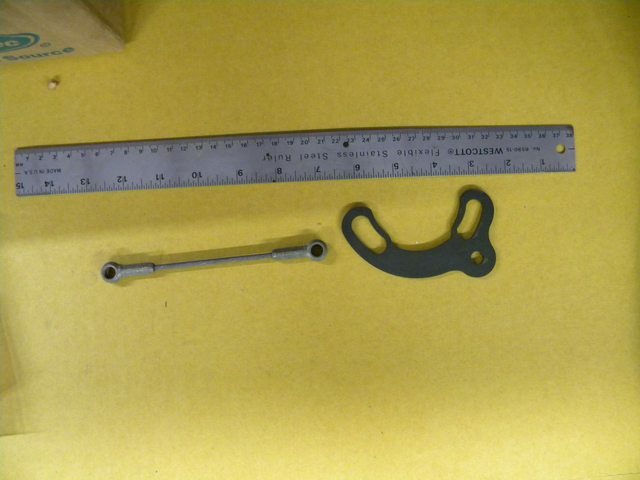 I have the 2 pins in the crossmember/hanger to compare to if I can't look up dimensions from the NSN. I'll let you know what I end up with. Dust the frame?! I'd think there was something wrong if I didn't have dirt, mud or rust falling all over me every five minutes. 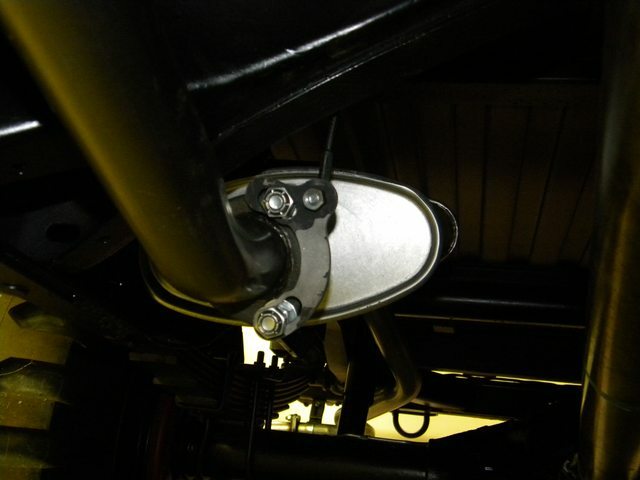 The slotted holes are needed to rotate the bracket around to take the slack out of the hanger cable. I found a few NOS parts in my stash to photograph. PM me with your mailing address, and I will mail you a tracing of the "C" bracket. Oh yea, It's 1/8" thick. Ohhhhh, slots! I didn't notice that in the first pictures. Yeah, I'll send you my email in a minute. Thanks for all the help. You've saved the day again! Can you post a tracing on the site? I will if jeepdan doesn't mind. Or maybe he would like to instead. Stay tuned. Terry, that would be great if you can post an image of the bracket for everyone to have access to. I would have myself, if I could have been more tech savy.